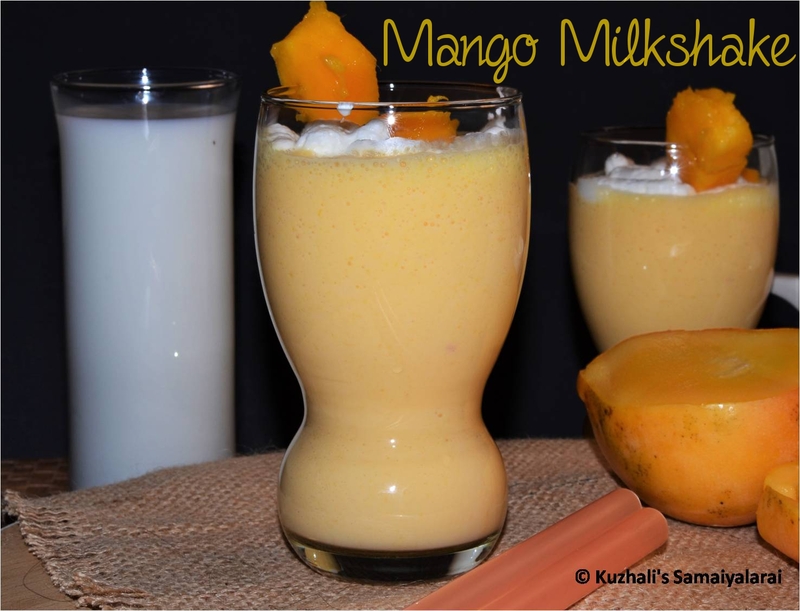 Mango milkshake is really a yummy drink made using ripe mangoes. It is so easy to make and really great for this summer. I have used mango ice cream for the richness; you can use any ice cream of your choice. This milk shake will be so creamy and I haven’t used white sugar and used honey for sweetness. 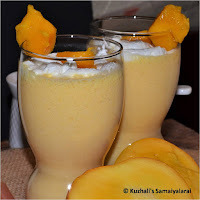 I want to make this mango milkshake recipe as simple as possible. so didn't add any nuts or other stuffs to make it so rich. Wash the mango and peel the skin. Chop the mango pulp into small pieces and keep it ready. In a blender jar take the chopped mangoes, milk, ice cream and honey. Add ice cubes if required. Pour in a serving glass. Garnish with the cream and chopped mango pieces and serve chill. I haven’t add sugar or condensed milk, instead added honey to adjust the sweetness. Already the mangoes will be having natural sweetness, so add honey accordingly. You can add sugar or condensed milk too as per your wish. Use boiled and then chilled milk. Adding ice cream is optional, but it gives nice creaminess to the milkshake. 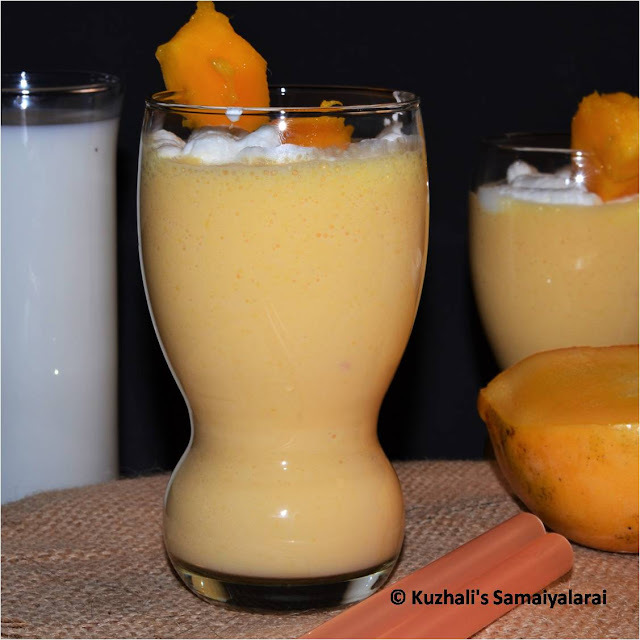 Mango shake is one of great for the summer season. It is getting great taste and sweetness also. The milkshake recipe was liked by all and ice cream also famous in that season. Most of the children are not like to drink milk but in this recipe is getting sweetness and also great taste. Better healthy and very useful for smooth skin maintain. It is given more energy for their body. Thanks for supporting and ideas for making this recipe here.